Derby United hosts a recreational league/open scrimmage one Friday per month. Players from all derby leagues, or without league affiliation, are welcome to participate as long as they meet minimum skills standards. 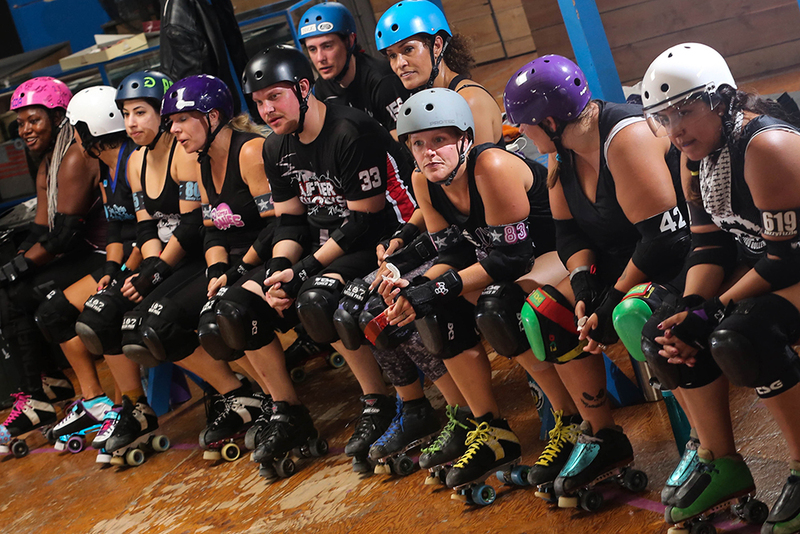 All scrimmages will be played on both tracks, and by the most recent RDCL and WFTDA rule sets. Sessions are open gender and for all skaters 18+. All on-skates participants must register in advance or on-site for entrance. Derby United members and affiliated programs may attend at no charge. Non-members may attend for a drop-in charge. Non-skating visitors may watch the Rec League for a spectator fee. 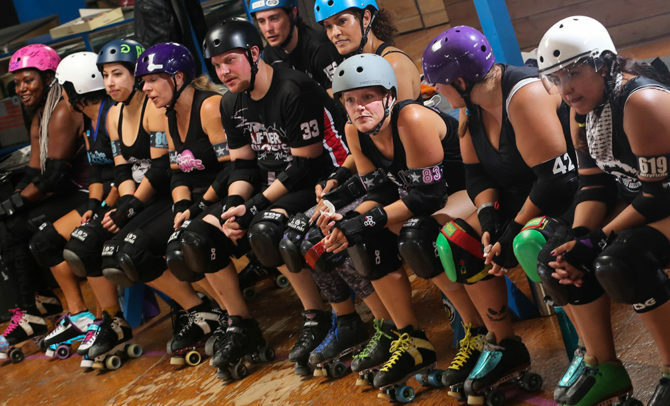 Learn more about United Scrimmage Roller Derby Recreation League. Recreation League participants must fill out a Code of Conduct and Facility Waiver to participate. Each participant must carry primary medical insurance. USARS/WFTDA insurance is not considered sufficient coverage. Proof of insurance and a valid ID must be shown upon registration. Have more questions? Please contact training@sandiegoderbyunited.com for more information about Derby United Recreation League.